SULLIVAN COUNTY, NY (April 7, 2014) – Members of the community are invited to learn more about invasive species at an educational evening on Tuesday, May 20. Cornell Cooperative Extension (CCE) Sullivan County’s Master Gardener program will be offering a Beetle Busters training from 5:30 to 7:30 p.m. at the Gerald J. Skoda Extension Education Center on 64 Ferndale-Loomis Road in Liberty. Beetle Busters is a training that covers the identification of and survey techniques for forest pests in the Catskills region, with a focus on Emerald Ash Borer (photo left) and Asian Longhorned Beetle (photo below). Catskill Regional Invasive Species Partnership (CRISP) welcomes community members that can spread this knowledge and these practices throughout their home county. 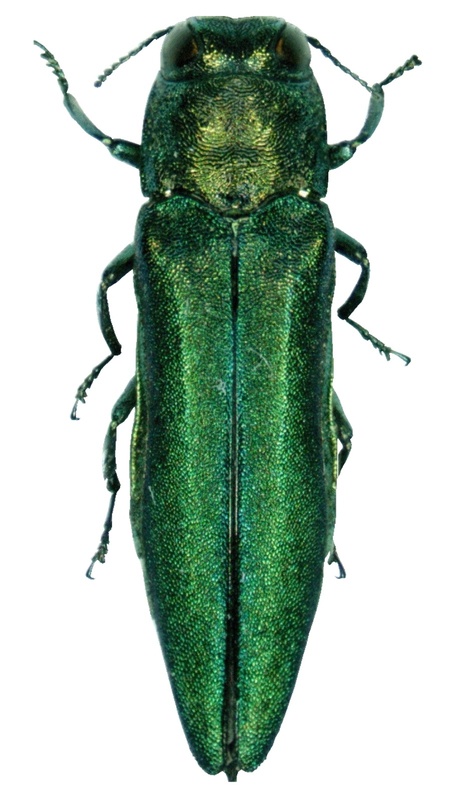 The Emerald Ash Borer (EAB) is a forest pest that feeds solely on ash trees. This pest has been detected in several counties in New York and is causing severe damage, costing us the health of our forest ecosystems. Communities are left to foot the bill of removing hundreds of dying trees. This metallic green beetle can’t be stopped, but CRISP is doing everything possible to help slow the spread of the EAB and help communities to prepare. 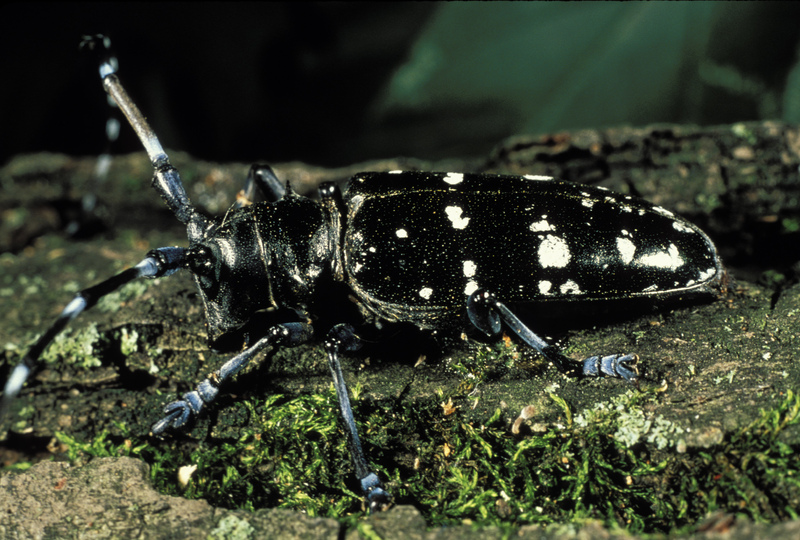 The Asian longhorned beetle (ALB) is a 1 ½-inch-long, glossy black beetle with very long, black-and-white banded antennae. It tunnels its way through healthy hardwood trees, weakening the main structure of the tree. The female lays eggs inside, and the cycle of devastation continues. It invades most hardwoods, including but not limited to maple, horse chestnut, ash, birch, elm, willow, and poplar trees. To date, more than 72,000 trees have been deforested due to ALB invasion. Early detection is therefore vital to containing the spread of this species. Cost of the training is $10.00 per person. Registration with payment is required in advance by calling CCE at 845-292-6180. For more information, email Susan Dollard, CCE Master Gardener Coordinator, at smd243@cornell.edu.